aBiotechnology of Fruit Trees Group, Dept. Plant Breeding, CEBAS-CSIC, Campus Universitario de Espinardo, 25. 30100 Murcia (Spain). bDepartment of Plant Biology, Faculty of Biology, University of Murcia, Campus de Espinardo, E-30100 Murcia, Spain. In a previous work, we reported that the cyanogenic glycosides (CNglcs) pathway can be involved in a new salicylic acid (SA) biosynthetic pathway in peach, with mandelonitrile (MD) linking both pathways (Diaz-Vivancos et al. 2017). In this pathway, MD acts as an intermediary molecule between CNglcs turnover and SA biosynthesis (Diaz-Vivancos et al. 2017). The plant hormone SA plays multiple roles in plants and acts as an endogenous signal mediating plant defense responses against both biotic and abiotic stimuli. In that regards, we study the effect of MD and phenylalanine (Phe), a known SA-precursor, treatments on stress-related plant hormone contents [(SA, abscisic acid (ABA), and jasmonic acid (JA)] and symptomatology in Plum pox virus-infected peach seedlings. The PPV-infected peach seedlings were treated with 1 mM MD or Phe for six weeks and then submitted to an artificial rest period again, which was necessary to ensure the later multiplication of the virus. Samples were taken six weeks after the second artificial rest period; the seedlings were inspected for sharka symptoms and were irrigated with either 1 mM MD or Phe during these six weeks. For all the conditions, 12 seedlings were assayed, and another 12 plants were kept as control. In PPV-infected seedlings, an increase of about 1.5-fold in total SA content was observed in control and MD- and Phe-treated plants due to the infection (Fig.1), suggesting that the SA biosynthetic pathway from MD is also functional under biotic (Plum pox virus infection) stress conditions, although the contribution of this pathway to the total SA pool does not seem to be important under such condition. We also analyzed the effect of MD and Phe treatments on abcisic (ABA) and jasmonic acids (JA) levels in control and PPV-infected seedlings. The MD treatment produced a drop in ABA levels in control plants. However, PPV-infection induced an increase in ABA content in MD-treated plants, whereas JA levels strongly increased by both MD and Phe treatments (Fig 1). 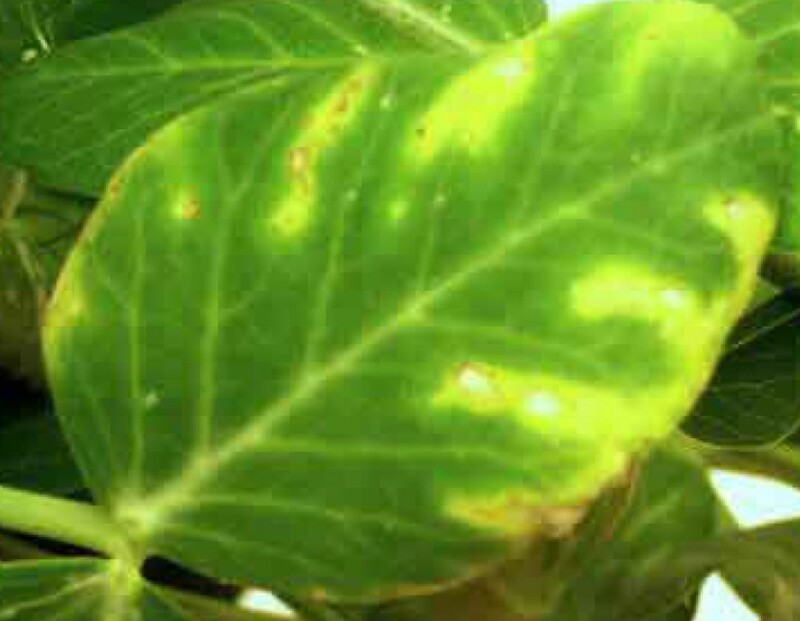 Figure 1.- Total ABA , JA and SA levels in the leaves of peach seedlings grown in the presence or absence of MD or Phe submitted PPV infection . Data represent the mean ± SE of at least five repetitions of each treatment. Different letters indicate significant differences according to Duncan’s test (P≤0.05). Regarding PPV symptoms, venal chlorosis and leaf deformation were observed in non-treated seedlings. The mean intensity of PPV symptoms observed in non-treated plants, around 3.0 on a scale of 0 to 5, confirmed the high susceptibility described for this cultivar. Both MD and Phe treatments reduced the severity of symptoms, although Phe in a lesser extent than MD (Fig 2). This response correlated with higher levels of SA and JA in peach leaves, as well as with enhanced ABA levels in MD-treated seedlings. Fig. 2.- Phenotypic scoring for evaluating sharka symptoms in peach seedlings. Data represent the mean ± SE of at least 10 repetitions. Different letters indicate significant differences according to Duncan’s test (P≤0.05). As a conclusion, based on our previous results suggesting that the CNgls pathway can be involved in SA biosynthesis via MD, we have found evidences that this new SA biosynthetic pathway also works also under stress conditions. These data suggest that SA biosynthesis from MD could have a positive effect in the response of peach plants to PPV infection, reducing Sharka symptomatology, even though that the contribution of this pathway to the total SA pool does not seem to be relevant. Categorías: Biotic stress, Fisiología/Bioquímica Vegetal | Enlace permanente.